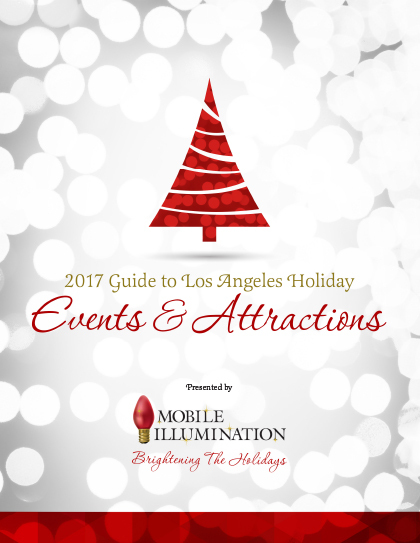 Well it’s that time of year again and have we got a gift for you, the 2017 Guide to Los Angeles Holiday Events and Attractions. This year we’ve got more things to do, see, and experience during the Holidays. Looking for a new place to get your fresh cut Christmas tree? Thinking about taking the family out for an ice skating excursion? Planning a date night and want to hear or sing a long to Christmas carols? Well our Holiday event and attraction guide has you covered so you can find out where to do it all during the Holidays. One of the biggest annual events is the Christmas Tree Lighting Ceremony at the Grove in L.A. The event is Sunday November 12th, starting at 6:00pm. Share the guide with friends or that someone who can’t stop talking about Christmas even when it’s only September.